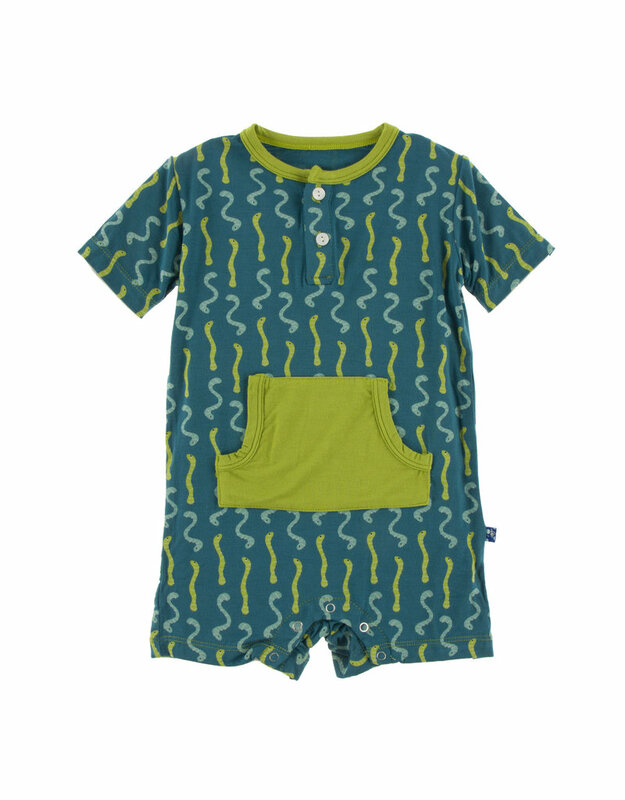 Your little guy will love sporting our adorable Kangaroo Romper! An all in one outfit, with a fun front pocket, what could be better? You will love our adorable prints and colors of the season, and he will love the softness and comfort of this dashing Romper.